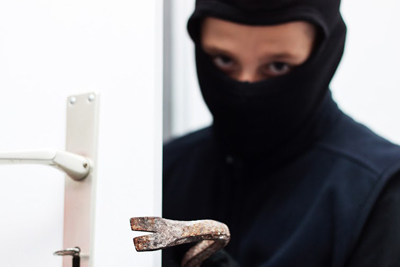 Literature and films have created the myth that intruders can open all security door locks but, in reality, most home invasions take place in homes with weak security systems and ancient locks. Don't let your imagination fool you. Intruders do not have supernatural powers or high tech equipment; they will not climb to the roof or risk their lives in order to steal an old watch or occasionally some money. Most surveys show clearly that most of them are opportunists and take their chance when they find lost house keys or unlocked front and back doors, basements and garage doors. If you want to lock them out, you need to take action and the first thing you ought to do is search your house for possible weak points. 1. Check all door locks. Make sure all doors have keys and the keys lock well. Any loose locks and distorted keys should be replaced. The easiest method is lock rekey. 2. Don't forget to examine the security of garage doors, gates, basements, windows and back doors. People have a tendency of giving too much attention to the main entrances when specialists at Locksmith Palos Verdes Estates would tell you that many thieves prefer secondary entrances. • Today, you can find amazing lock systems in every store specializing in locksmith products. When it is time to have the locks replaced, choose different ones for each entry point in terms of the risk level. It is evident that entrances, which would give easy access to intruders, should be reinforced with high security locks. • You can definitely install cameras above the main entrances in order to keep an eye of the perimeter of the house through your computer. • Connect the alarm system with all entrances including the garage door and install an intercom system if you have a gate. a. The key will not fit into the lock one day and, as a consequence, you will be locked out. b. Keys are used many times each day and they are placed in purses, pockets and drawers. Eventually, they may get distorted. As a result, they won't open the door easily or won't lock properly. c. The locks are also affected by the weather conditions and over time, they may become weak keeping you from locking the door. New lock installation will also give you the benefit of exploring your options among new systems, which are much stronger and modern. Imagine that electronic locks did not exist a few decades back. 1. Avoid leaving your keys exposed in public places. 2. Keep a pair of house keys at your mom's or friend's house to avoid a house lockout. 3. Don't share with anyone in the web your whereabouts or announce the date of your vacation.